Adopting A Racing Greyhound, by Cynthia A. Branigan. This is an excellent book, and covers most everything you will need to know, to be well prepared for your new dog. Child-Proofing Your Dog, by Brian Kilcommons. The Greyhound, Favored pet of Kings, sporting companion of the gods. Superior rabbit hunter to farmers, and cherished pet of children. The greyhound has played many parts throughout the centuries. It's easy to see why, both now and then, the greyhound is truly a prince of dogs. The Greyhound has always been the prince of dogs, and the dog of princes. It's claimed descent from the desert dogs of the pharaohs and the Arabian sheiks; and has been so enthusiastically documented by writers onthe breed that you begin to wonder sometimes, whether they are trying to compensate for the less than regal image of the Greyhound today. It is almost as if the canine historians feel that the medium of millions of dollars and pounds of betting turnover needs a few smart relations from the past. These ancient dogs of the Egyptians and Arabians were the companions of princes. They rode on his camels, wore his lucky charms and amulets, and most significantly in a nomadic culture, shared his tent. The accepted wisdom is that the Greyhound type originated in Egypt, spread through Arabia, then fanned out through Persia in the east to Russia and India, and through Greece in the west, passing through Imperial Rome on its way to the edges of the Empire in Britain and Ireland. can you afford a greyhound? Owning a greyhound is a financial responsibility that you commit to when you adopt. All pets require care besides the cost of the food you feed it, but greyhounds have special needs above and beyond the average breed. 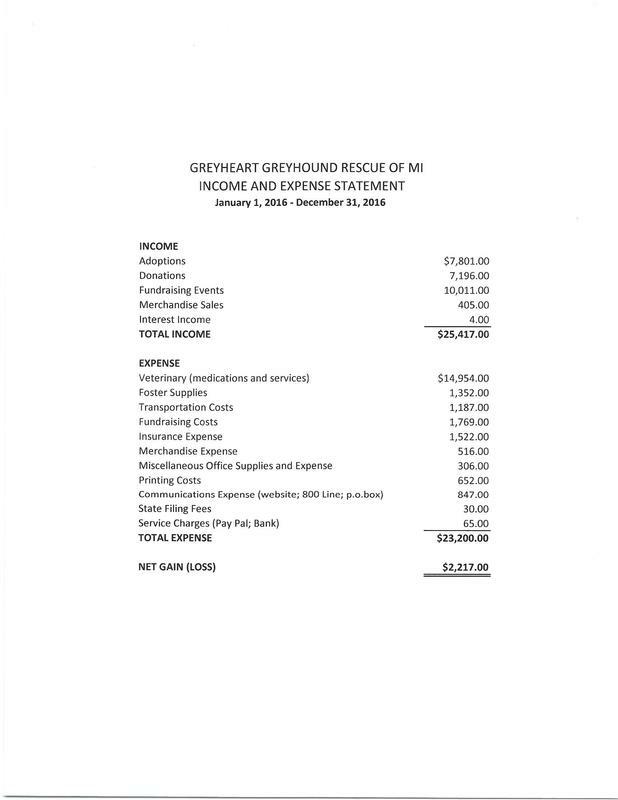 We have put together a list of the basic costs that you will incur monthly/annually as well as the initial essentials you will need to purchase to bring a greyhound into your home. 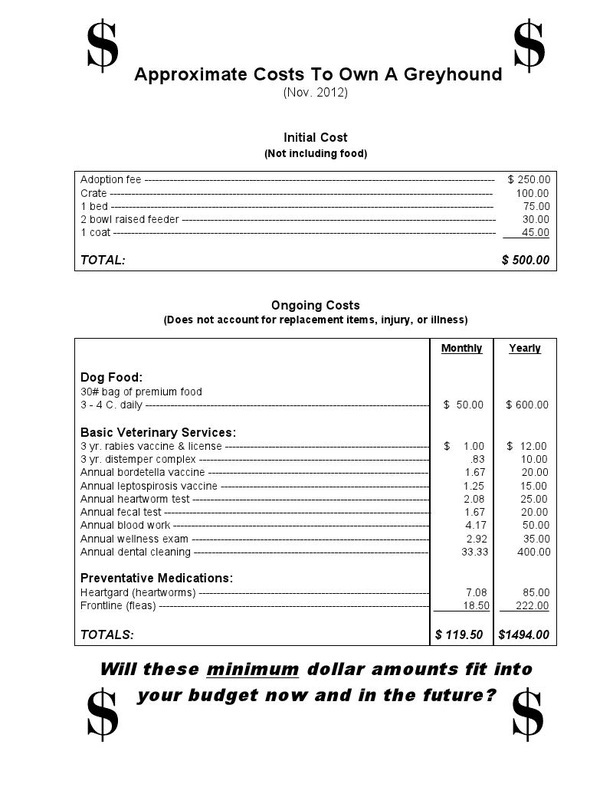 We emphasize the word basic because this list does not include any bills for your dog when it gets sick or injured........... and most likely it will happen. To think otherwise would be naive, especially as your dog ages. It is not out of the ordinary for a treatment or surgery to run into thousands of dollars.